Are you a DPO with little budget? No additional resource? Not all businesses employ a full time Data Protection Officer so, often, it forms part of the job of a manager with other responsibilities to act as DPO or Data Protection Manager, the contact for issues and queries relating to data protection. The role of Data Protection Officer is a statutory role and there are formal obligations and duties to carry out. Even where the role is advisory rather than mandatory it is good practice to undertake some checks on data protection compliance. The principle of Accountability set out in GDPR mandates that the organisation should be managing risk in relation to personal data processing. So our DPO Support Package encourages you to build risk into your annual audit programme. However not all organisations can afford to fund the DPO or advisory role and there will always be budget restrictions. 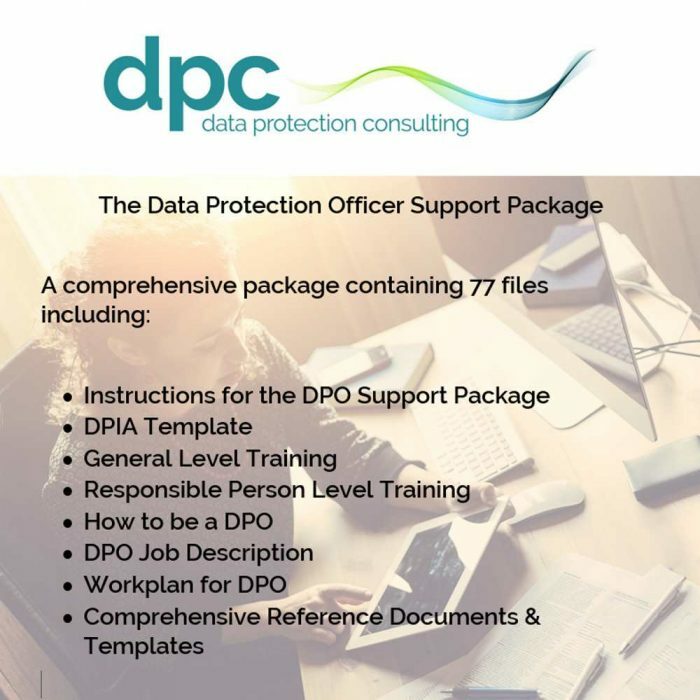 Our DPO Support Package provides all you need to carry out the DPO role to a good standard, to provide value for money support for data protection compliance for the business and to satisfy the regulator that you are meeting the obligations of the role.